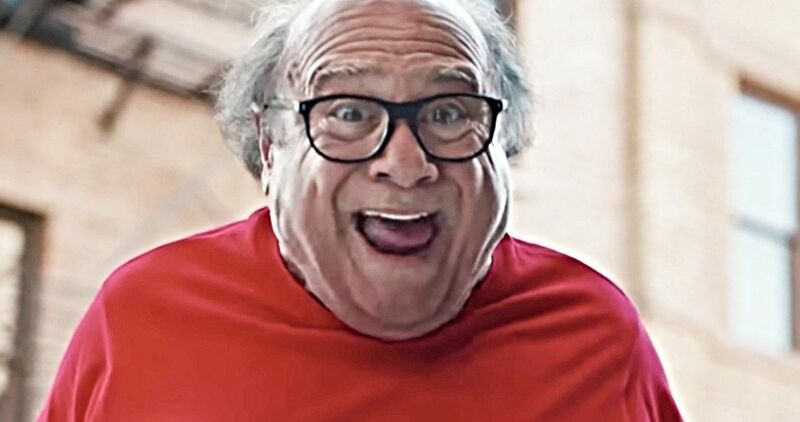 The cast of Jumanji 3 continues to grow as Danny DeVito has officially boarded the upcoming sequel. Jumanji: Welcome to the Jungle wound up being one of the biggest surprise hits of 2017 and that prompted Sony to quickly begin work on a sequel, which is gearing up for production very soon. With cameras set to roll in the near future, casting has been underway and now, they’ve added yet another big star to the already impressive ensemble. According to a new report, Danny DeVito has signed on for an unspecified role in Jumanji 3, which doesn’t yet have an official title. This comes not long after it was revealed that Crazy Rich Asians and Ocean’s 8 star Awkwafina is in final negotiations for a role in the movie as well. They will star alongside Dwayne Johnson, Jack Black, Kevin Hart and Karen Gillan, who are returning to reprise their roles from the last installment. Johnson had this to say in a statement about DeVito joining the cast. Danny DeVito has had a career that has spanned nearly five full decades in Hollywood, having starred in the hit series Taxi, as well as movies such as Twins, Batman Returns and Man on the Moon, amongst many other credits. In recent years, he’s starred as Frank Reynolds on It’s Always Sunny in Philadelphia. On the movie side, he’s got a pair of big Disney projects coming up in Dumbo, as well as The One and Only Ivan. This adds yet another high-profile project to his already busy schedule. Jake Kasdan is returning to direct, after having successfully helmed Jumanji: Welcome to the Jungle. The surprise hit brought in $962 million worldwide, despite going up directly against The Last Jedi at the box office. Kasdan co-wrote the screenplay for the upcoming franchise installment with Scott Rosenberg, and Jeff Pinkner. Both Rosenberg and Pinker worked on the script for the previous movie as well. Matt Tolmach is on board to produce, as is Dwayne Johnson’s Seven Bucks Productions company and Kasdan. Jumanji started out as a picture book in 1981, which was later adapted into a movie that featured the late Robin Williams in 1995, as directed by Joe Johnston. Plot details are currently being kept under wraps for the forthcoming third entry, but the previous movie introduced the idea of video games into the franchise, whereas the first movie dealt with a board game. Jumanji 3 is currently set to hit theaters on December 13 and, if the studio sticks to that date, it could make for a pretty tight production schedule. We’ll be sure to keep you posted as any further details on the project are made available. This news was first reported by Variety.